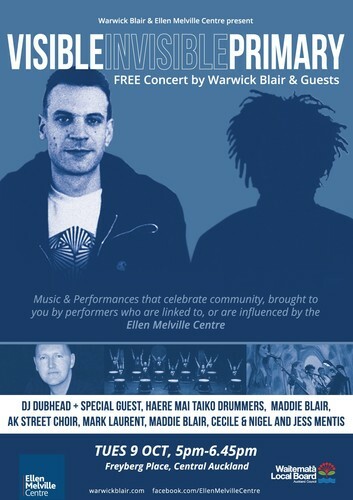 Free concert by Warwick Blair & guests. Visible Invisible primary is a concept conceived by Warwick Blair and derived from Dubhead’s record selection and subsequent improvisations of invited dance and musical performers. The work highlights the establishment of a sense of community, through people and space; the performers are linked to, or are influenced by, the Ellen Melville Centre. Visible Invisible is one of many activities taking place during Late Night Art (presented by Heart of the City during Artweek 2018) and on Friday 9 October, Freyberg Place and the Ellen Melville Centre will also host numerous other works, an exhibition on Maori Modernism and Art Ache studio art sale. 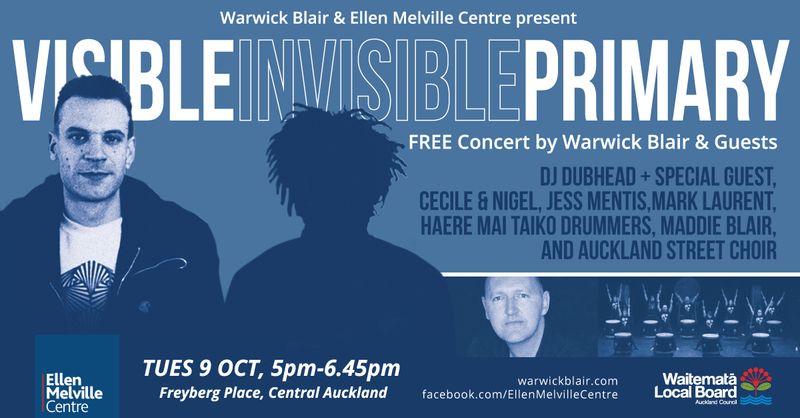 In the late 1980s, Warwick Blair was already being described as “one of New Zealand’s most original musical thinkers” (NZ Herald) and the “enfant terrible of New Zealand Music” (NZ Listener). Recently Blair’s international profile has steadily been increasing with many premieres, including world premieres, at prestigious festivals and venues, taking place around the world.